Whenever I think of wild boar, I think of Brunello, both of which remind me of the unforgettable meal I had in Tuscany a few years ago which featured pasta with wild boar ragu followed by wild boar ribs. So when I heard that Aroma Restaurant in NYC was doing a wild boar menu and each course would be paired with a Brunello from Castello Banfi, I couldn’t resist. Philip Di Belardino, the director of fine wines for Banfi, was the host and speaker. I have known Filippo, as his friends call him, for a number of years. 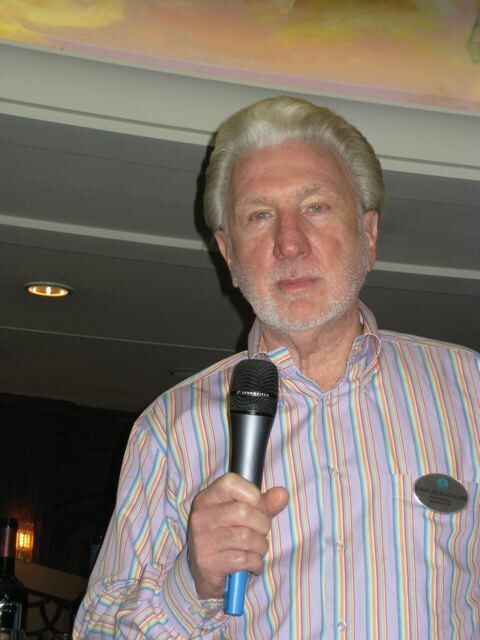 He is passionate about all things Italian and is an entertaining and knowledgeable speaker. He explained how the Banfi company came to Montalcino in 1978 and purchased Poggio Alla Mura, now Castello Banfi. Currently, Banfi is the largest continuous landowner in Italy. The company has done intensive research on the Sangiovese clone found the area. They studied over 650 clones and isolated 3, which are vinified into their Poggio Alla Mura Brunello. 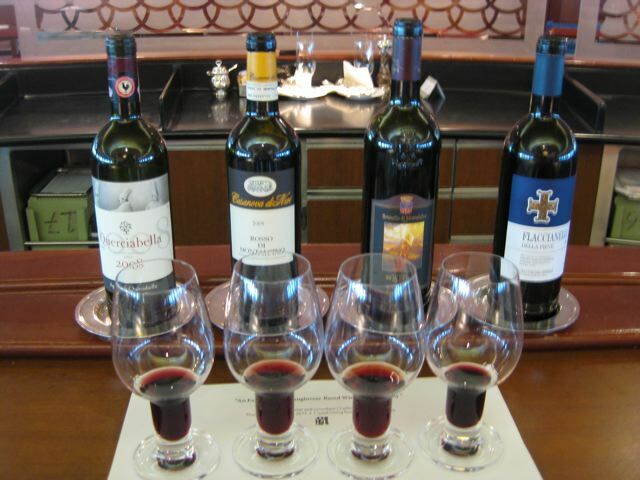 Brunello Di Montalcino D.O.C.G. 2007 100% Sangiovese (select clones). The winter was mild and the growing season started early. Heavy rain in May and early June provided enough water reserves for the mid-June heat wave. The fall rainwater was perfect and the harvest was one week early, but lasted into the middle of October. The grapes come from over 100 small vineyards, some older, and some more recently planted with the selected Banfi clones. A meticulous grape selection takes place. Fermentation is in temperature–controlled stainless steel/ French oak hybrid tanks, with skin contact for 10 to 12 days. Philip said that this was the first year Banfi used these hybrid tanks. The wine is aged in 50% French oak barriques, and 50% Slavonian oak casks for two years. Philip said that 2007 was a great vintage for them. By law the wine is released the 5th year after the harvest. 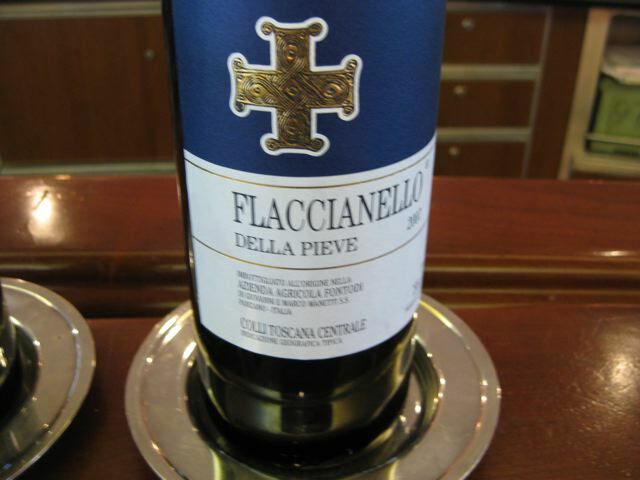 The wine has red fruit aromas and flavors with hints of cherry and plum and a touch of tobacco. It has a long finish and very pleasant aftertaste. A winter greens salad, and braised boar shoulder with lardoons, which I really enjoyed, went very well with the wine. The hybrid tanks–half stainless steel and half French oak–were invented and patented by Banfi. They had an exclusive on these hybrid tanks for three years before they were released for sale to other wineries. 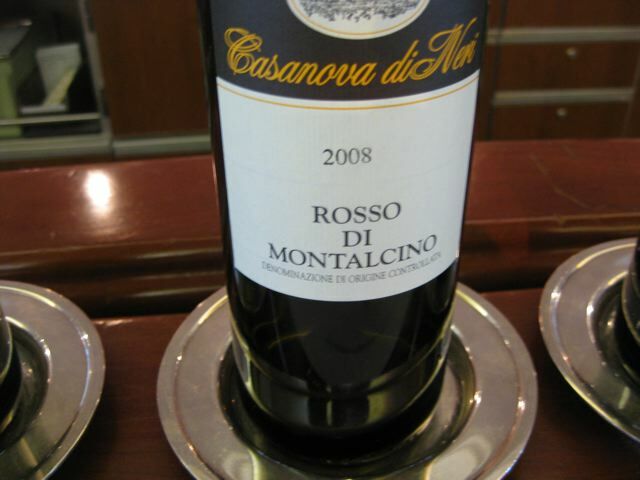 Brunello Di Montalchino D.O.C.G. 2006 Spring rainfall allowed for water reserves over the hot summer months. High temperatures in July and an ideal range between daytime and nighttime temperatures in August allowed the grapes to ripen exceptionally well. The warm weather in September made it an excellent harvest. The vinification was in stainless steel tanks otherwise it was the same as the 2007 as was the aging. 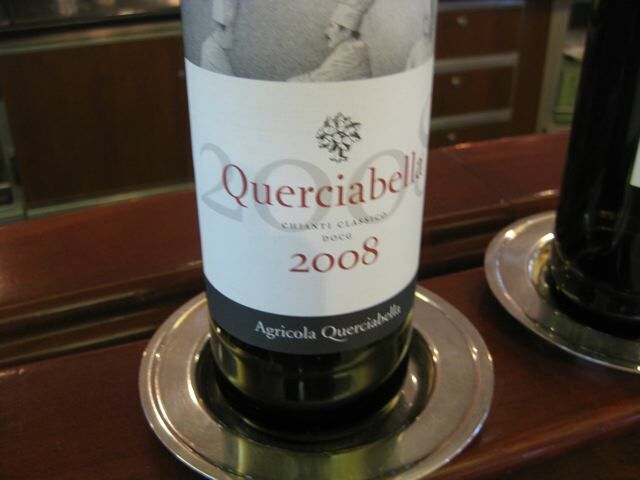 Philip said that their wine maker believed 2006 was a slightly better vintage than 2007. 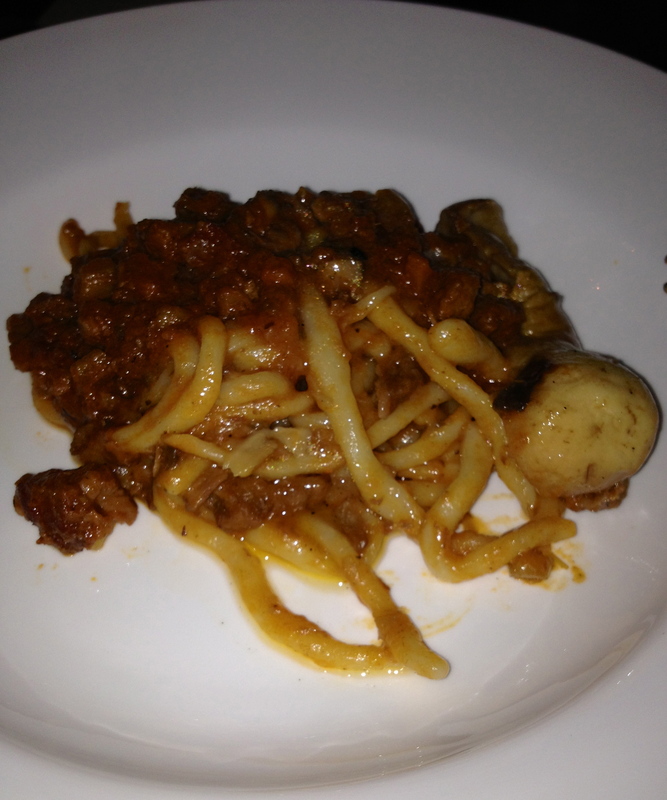 Pici (handmade pasta strands) with wild boar ragu, porcini and pecorino tartufo went very well with the wine. 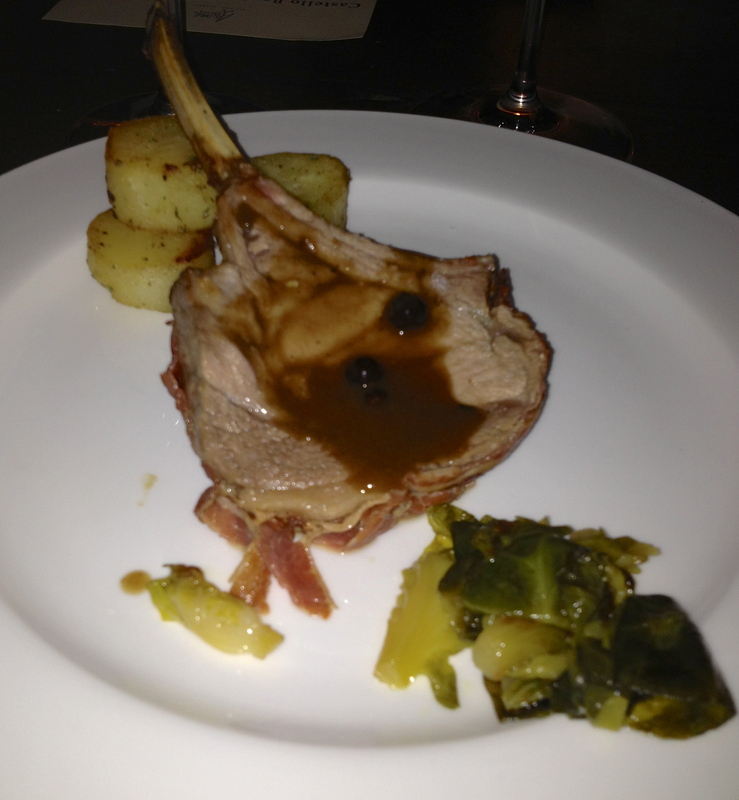 The next three wines were served with wild boar ribs in porchetta with Brussels sprouts. I like this best with the1998. Brunello Di Montalcino D.O.C.G. “Poggio Alle Mura” 2006 This is a cru (single vineyard). The selected clones are from the slopes surrounding Castello Banfi. Fermentation for 12 to 14 days in temperature controlled stainless steel tanks, traditional maceration with frequent pumping over. Malolactic fermentation is in barriques. It unfiltered. Philip said it was Banfi’s first unfiltered wine. The wine is aged for 24 months in 10% Slavonian oak casks (60hl & 120hl) and in French barriques. These are custom-made 350-liter oak barrels (larger than a barrique, smaller than a tonneaux). These oak barrels are 1/3 new, 1/3 one-year-old, 1/3 two-year-old and are used for all of the Poggio Alle Mura. This is an elegant wine with hints of plum, tobacco, coffee and a touch of leather. It has a long finish and pleasing aftertaste and has great potential for aging. Brunello Di Montalcino D.O.C.G. 2004 This was a normal growing season, rain in the spring, overall lower summer temperatures, variations between night and day temperatures which lead to balanced ripening. Fermentation and aging is the same as for the 2006. This is a complex wine, well structured with red fruit flavors and aromas, spice and a hint of vanilla. This is the only one with a hint of vanilla. Personally I prefer the regular 2004 which I have tasted on a number of occasions and believe it to be a great wine. The wine needs time. 2004 was a very good vintage. 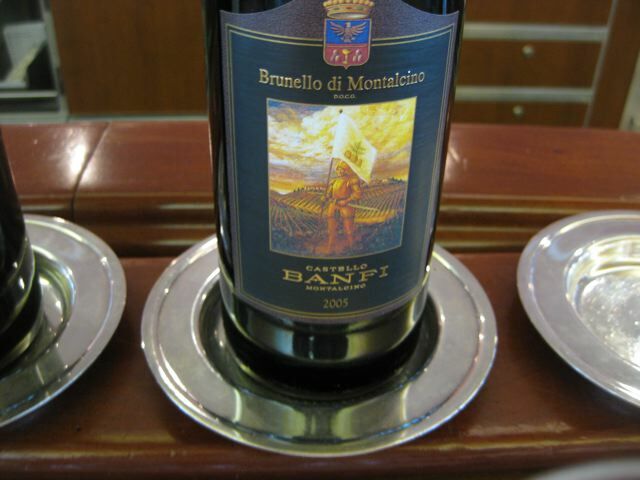 Brunello Di Montalcino D.O.C.G. 1998 Very dry and hot summer had a significant impact on the quality of the grapes, resulting in a contained vegetative development and, most significantly, a smaller berry size. The greater proportion of skin and seed to pulp dictated the terms of vinification. In order to soften the tannins, it was necessary to reduce the maceration time and remove the seeds from the vinaccia as much as possible. Philip said that this was the second vintage of this wine coming from vineyards made up entirely of clones selected on the estate. This was my favorite wine of the evening. Elegant and complex with hints of raspberries, blackberries, plums and a touch of licorice with great balance.